MSD Ignition has produced the finest ignition components for your race car for over 20 years. The demand for amp levels varies with each vehicle so getting just the right alternator is important to ensure the best performance. Pit Stop USA is The Online High Performance Superstore! 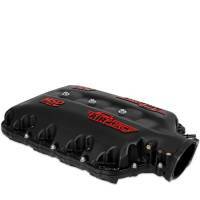 We feature AMC Starters and Jeep Starters at low everyday prices. 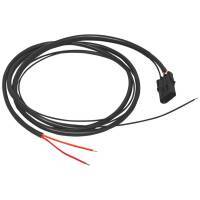 Ballast Resistors are used with high output ignition coils when connected to a stock points ignition system. 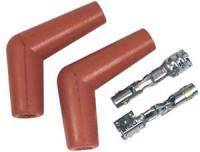 Spark plug wire boots and terminals are available for replacement or custom ignition wire fabrication. It's a good idea to have a few spares on hand for the next time you melt a boot on a hot header at the track. Pit Stop USA is The Online Motorsports Superstore! 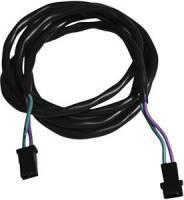 We feature Bulk Spark Plug Wire at low everyday prices. Pit Stop USA sells all the products you need for your 3/4 and 1-ton GMC or Chevrolet Trucks including Distributors, Magnetos, and Crank Triggers. Pit Stop USA sells all the products you need for your 3/4 and 1-ton GMC or Chevrolet Trucks including Ignition Components. Pit Stop USA has all of your Street Performance needs including Chevrolet Corvette Ignitions and Electrical. Pit Stop USA is The Online Motorsports Superstore! MSD has produced the best performing and most popular performance ignitions for over 20 years. 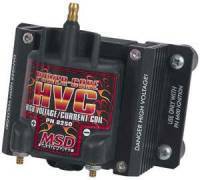 MSD Ignition Controls are the ignition choice of top professional drivers in NASCAR, World of Outlaws, ARCA, DIRT, IMCA and more. We offer MSD Ignition Boxes, MSD Distributors, MSD Ignition Coils, MSD Spark Plug Wires, MSD Rev Limiters, MSD Ignition Tools, MSD Timing Controls and more. MSD 6 HVC Professional Racing Ignition is designed for racing for long periods of time at high rpm. MSD 6 HVC-L Ignition Control with Rev Limiter will save the engine from over-rev damage. MSD 6T is designed for severe duty off-road and circle track racing. 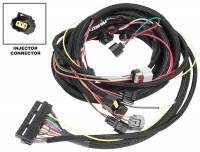 MSD 6ALN and MSD 6TN Ignitions were designed for circle track racing and approved by NASCAR. MSD Digital HEI Module and performance coil will fire up your HEI Distributor. MSD Midget Ignition produces full power capacitive discharge sparks at any rpm. MSD Soft Touch Rev Controls use computer circuitry to prevent fuel from loading up the plugs. MSD Blaster Coils are designed for improved spark output! MSD Blaster High Vibration Coil is THE coil for circle track racing! MSD Blaster SS Coils provide great performance from the street to circle tracks. Replace the stock coil of your HEI with an MSD HEI Coil. MSD Billet Distributors and MSD Pro-Billet Distributors are the finest racing distributors available. 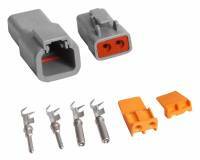 MSD 8.5mm Super Conductor Wire is "the" performance wire. 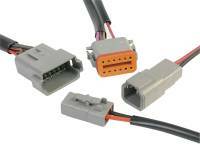 MSD Heli-Core Ignition Wires are perfect for tow vehicles and performance cars. 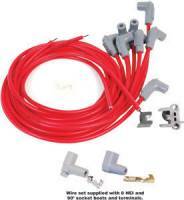 MSD Universal Spark Plug Wire Kits allow you to route the wires the way you like and cut them for a custom fit! MSD Pro-Crimp Tool is a must for your toolbox. MSD Self-Powered Timing Light is a tool every performance tuner should have. MSD Timing Light can be used on all engines with standard or capacitive discharge ignition systems. Every racer's toolbox should have an MSD Ignition Tester or MSD Digital Multi-Channel Ignition Tester.